In the battle against the “worst public health” crisis, this nation has ever seen a new tool has taken the spotlight in the hopes of decreasing deaths due to opioid-related overdoses. The device is a simple strip that will allow people who use drugs such as heroin and cocaine to test whether their drugs are laced with the deadly drug fentanyl. The hope is that if the drug test positive for fentanyl, the user might not take them or choose to do less. A report just released by the US Centers for Disease Control and Prevention, announces fentanyl is now the deadliest drug in America and is almost linked to 30% of overdose deaths in the last three years and rising. Fentanyl is a synthetic opioid that is 80-100 times stronger than morphine and mainly created for chronic cancer patients for severe acute pain. BTNX a Canadian biotech company first developed the concept of a fentanyl test strip which initially tested urine samples for the presence of the drug, but they soon discovered the pieces work the same way when they are dipped or soaked in the residue of cooked heroin or by adding water to cocaine. For example, the strip works like a pregnancy test, but in reverse, one line on the strip suggests that the drugs are positive for fentanyl but two if it is negative. The strips are supported by multiple studies. One was conducted by researchers at John Hopkins and Brown University who determined the test strips worked to detect even the lowest amount of fentanyl in street drugs. “Our findings bring to the table evidence that can inform a public health approach to the fentanyl crisis. Smart strategies that reduce harm can save lives,” Susan Sherman, a co-author on the study, commented in a news release. 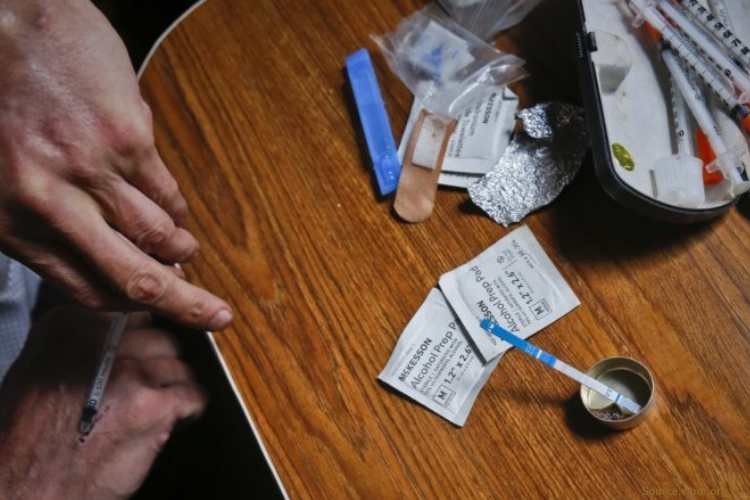 Several programs in the country that hand out clean syringes to people who use drugs have already adopted the idea of distributing fentanyl strips. Los Angeles County, first responders and other health care workers have been advised to discuss the risk and benefits of the strips with patients who request them. Even though the strips can detect low amounts of fentanyl, they are not 100% effective at eliminating the risk of overdose since they don’t identify all forms of fentanyl and have produced a false negative in the past. Adding that they don’t let users know how much fentanyl the drugs contain. Experts believe this is the first step in the right direction to decrease the rise of fentanyl-related deaths. “We are at a pivotal moment in the overdose epidemic, and we need to embrace the full range of interventions that can save lives,” Sherman said. Urban Survivor’s Union, an organization that advocates on behalf of drug users released a new video, which offers instructions on how to correctly use the strips and what to do if they come across a positive result. The idea of supporting drug use has rattled many people, despite the claims from experts. Dr. Elinore McCance-Katz, Trump administration’s assistant secretary of Health and Human Services for Mental Health and substance use, however, took an opposite stand on the issue of distributing the fentanyl test strips. His blog highlights his reasonings, which addresses the concern that even with people knowing the drug has fentanyl, they will continue to use the drugs despite the risk. He also claims that people may use the strips to locate drugs that contain fentanyl to achieve a stronger high. “We can’t afford to create a false sense of security. … Let’s not rationalize putting tools in place to help them continue their lifestyle more ‘safely,’ ” McCance-Katz argued. This may be a step back rather than a step forward for some. The Recover is a unbiased substance abuse and mental health news provider. Helping individuals looking for the right treatment programs in their area. Also providing information on Los Angeles drug rehab centers for addiction recovery.